Biodiversity - n. The variety of life in the world or in a particular habitat or ecosystem. 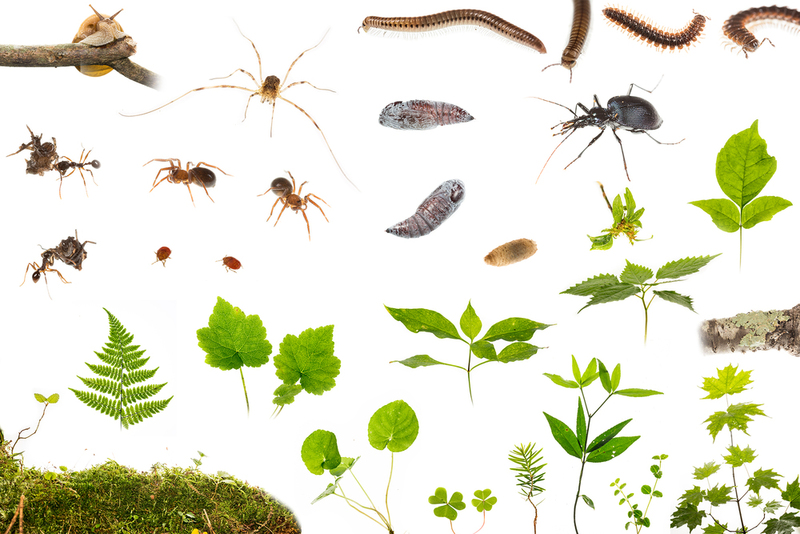 Biodiversity can be studied on many different levels, from every species on earth to every species that inhabits a particular forest, or ecosystem. Biodiversity can also be viewed at a genetic level when comparing the genetic diversity amongst a single species, or ecological diversity when comparing the variety of different ecosystems in a given area. Approximately 1.7 million different species of organisms have been identified on Earth, however research suggest there may be as many as 30 million or more species left to discover. 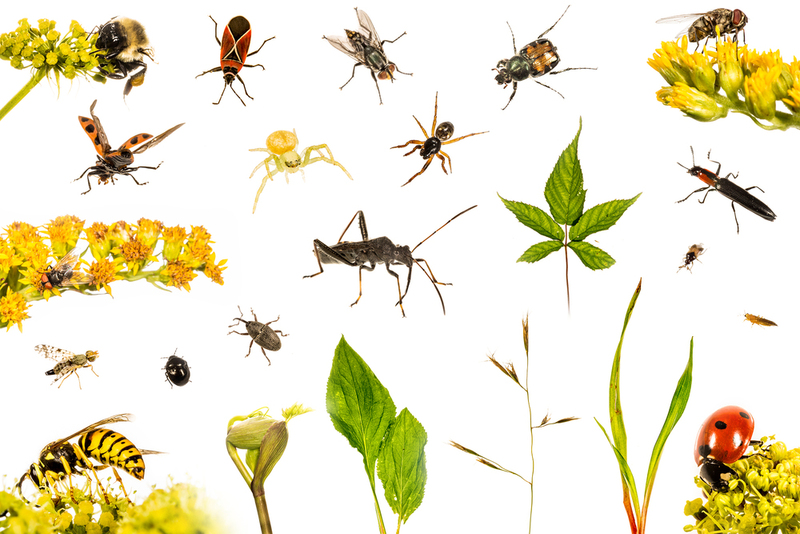 Simply put, a biologically diverse ecosystem can be beautiful and inspiring, but there are many practical implications we rely on which come from this variety of life. We receive an array of foods, and building materials from plants and animals directly as well as indirectly by our reliance on pollinators of major crops. The majority of medical discoveries have only been possible by examining plant and animal biology and genetics, giving rise to new treatments for a variety of diseases and ailments. In todays rapidly changing world, pollution, climate change, habitat loss, over exploitation, and invasive species are major threats to the overall biodiversity on the planet, which could have detrimental effects on our daily lives. I started the biodiversity project to show the vast amounts of life at the base of your feet in any given ecosystem. While we all love seeing large animals like black bears, and elk, it's the small organisms that creates the base for a healthy environment. To complete this project I chose four different types of ecosystems within Great Smoky Mountains National Park, and placed 3'x3' quadrats on the ground in each habitat to photograph as much as possible within the quadrat. Each organism was photographed on site using the Meet Your Neighbours technique (http://meetyourneighbours.net/) to create a final composite image of each location. While it would be near impossible to photograph everything in these plots due to the hundreds if not thousands of various species of microscopic bacteria, and small flying insects constantly buzzing in and out of the plot, we get a good idea of the variety of wildlife in such a small area. Click on the composite images to enlarge them, and read their brief descriptions below. Albright Grove - Albright Grove is a hardwood old growth forest that was spared during intense logging years in the Smoky Mountains. Here you will see tuliptrees towering over 130 ft tall with a healthy and diverse understory. Old growth forests can be defined as a natural forest that has had no significant disturbance, such as logging, or pollution, which creates a unique ecosystem with some species not found outside of old growth. About 25% of the forests in Great Smoky Mountains National Park are considered old growth, which means this is one of the largest temperate deciduous forests in North America. Andrews Bald - Andrews Bald is the highest grassy bald in Great Smoky Mountains National Park, standing at 5,920 ft. Native grasses and shrubs dominate the bald, leading to lower diversity in plants. There is high diversity in insects gathering pollen or those that hide within the flower to prey on the pollinator itself. Grassy balds like this can be somewhat of a mystery as to how they formed and why the forest hasn't overtaken it. One hypothesis states that when cattle grazing was more prevalent in the area, it helped clear these balds, and since the National Parks have been established, some bald have begun to be reclaimed by the forest. Cades Cove - Cades Coves is a mixture of valley and a pine-oak forest with rhododendron and hemlock following creeks meandering through the forest. This is a habitat where valley meets forest, and you can see the gradual change of species as you move deeper into the trees. Since this habitat is at a much lower elevation than the others, temperatures tend to be much higher. This ecosystem relies on fire to help species such as the table mountain pine to open their cones and release their seeds. Fire also helps break down decaying matter to ash, returning nutrients to the soil. Clingmans Dome - Clingmans Dome is the highest point in Great Smoky Mountains National Park, standing at 6,644 ft. At this elevation, the landscape is much cooler and is dominated by spruce-fir forests. Fraser fir, and balsam fir are prevalent in this high wind, and frost environment, with red spruce dominating at around 4,500 ft elevation. In recent years the invasive Balsam wooly adelgid has been killing off many fir trees, giving way to red spruces beginning to colonize higher elevations.